The Fastest Car In The World Is A Ford?! Known as one of the best entries at the Texas Mile event, the MK2 Motorsport Ford GT already achieved amazing results by cracking 280 mph back in 2016, and, later, managing to reach 293.6 mph on March 26, 2017. Although wondrous, none of those records can hold a candle to the sheer popularity of cracking 300 mph in a street-legal car. Moving the bar that high wasn’t easy. At all. The development of a vehicle capable of completing such a task was tiresome and long. What is more, John Mihovetz from Accufab Racing Engines who is behind the development of the 5.4-liter, V-8 that powers this contraption keeps a whole lot about it under wraps. 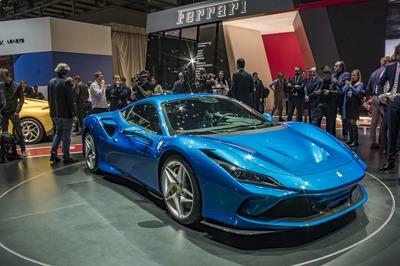 What we know, however, is that the basis for the development was a stock Ford GT V-8 engine. Completely overhauled, the V-8 engine features an innovative cooling system with actual ice water. It is a needed solution to keep the system effective and operational for short high-speed runs. Builders installed a 40-gallon ice water tank instead of the passenger seat in the cabin. The fact that it needs te replenished after each race only shows how much heat this V-8 produces. Now, this is only one caveat required to achieve a record-breaking run, and I included it to show you just how much of "out-of-the-box" thinking is needed to pull off a 300 mph run. After learning about the record-breaking run, I was more interested in what kind of tires this Ford GT has on its wheels. Moreso than I wanted to know about the power of its engine. I found out that for previous runs it had Hoosier R6 tires in the front with a size of 265/40-18 and the same type of tires in the back. Much bigger and tougher, though - 345/35-19. Bear in mind, these tires go for more than $500 a pop. It is not only by chance that I am mentioning the tires. When Volkswagen revealed the Bugatti Veyron, someone leaked a bit of info about its tires to the automotive press. The Bugatti Veyron had specially developed Michelin PAX Pilot tires rated at a top speed of 253 mph. Unlike Hoosier tires, the price for these Michelins was at $6,500 a pop. Despite all of that, they could only last for 15 minutes if driven continuously at a speed of 250 mph. This only showcase the challenges M2K Motorsport faced with cracking 300 mph. No wonder Patrick O’Gorman, who drove the Ford GT to its 300.4 mph top speed had a six-point harness and a full roll cage inside mainly stock equipped cabin of the record-breaking Ford GT. 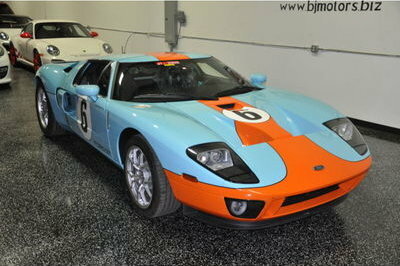 This particular Ford GT is one of only 4,038 cars produced from 2005 to 2006. It is, of course, an entirely different beast compared to any one of them. Mostly, due to the insanely powerful engine. The suspension and the aerodynamic features are, incredibly, left mostly untouched. That is maybe the best testament to Ford proficiency in building supercars. 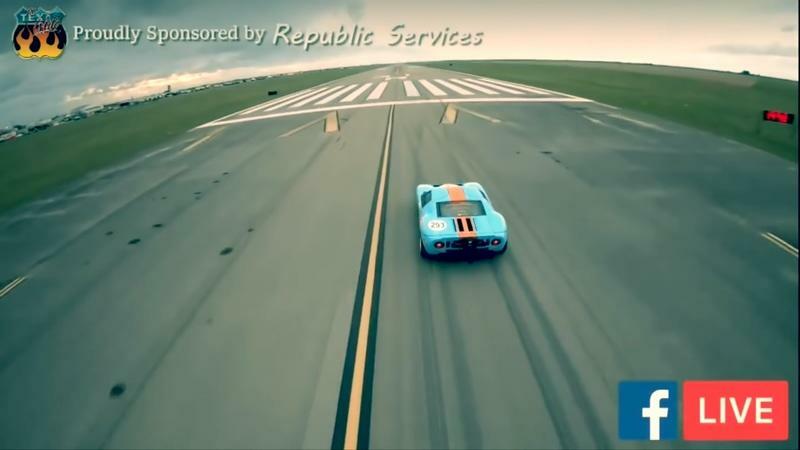 Now, I know that many of us would like to see this 2,500 horsepower Ford GT hit the Ehra-Lessien test track and its 5.4-mile-long straight. That is the place where the Veyron stretched its legs. I believe that the tires may be the primary reason for limiting the top speed of this Ford GT in such instance. It is best suited for one-mile races after all. 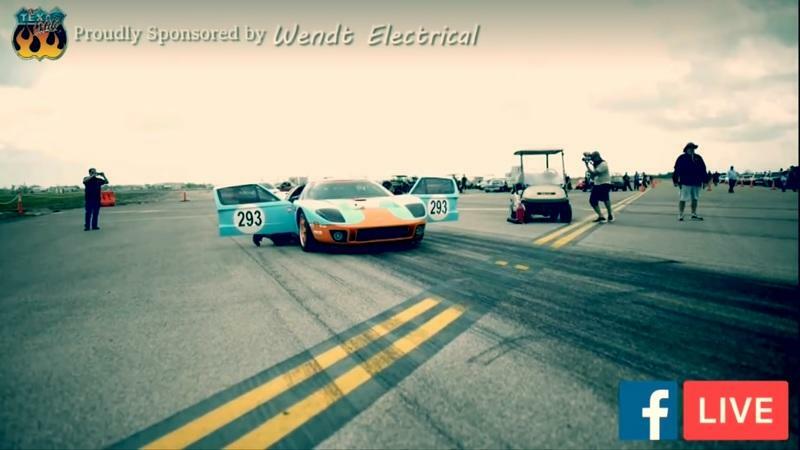 The M2K Motorsport Ford GT record-breaking car is based on top of the 2006 Ford GT. That one is powered by a 5.4-liter, V-8 with 550 horsepower and 500 pound-feet of torque. Enough for acceleration to 60 mph in 3.4 seconds and a top speed of 205 mph. That same car could reach 150 mph in 17 seconds and run a quarter mile in 11.2 seconds at 131 mph. The M2K Motorsport Ford GT, however, is quite a bit quicker. 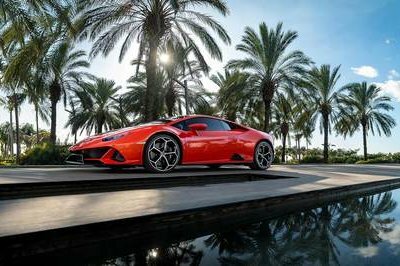 First of all, it will reach 160 mph in 9.6 seconds (or less), and it will travel at 174.5 mph at the quarter of a mile checkpoint. And yes, I cannot repeat this enough - it cracked freaking 300 mph. To put the speed of 300 mph into perspective, I have to go back to 1935 when Boeing revealed the B-17 Flying Fortress, a bomber plane that was crucial for the allied efforts during WW2. 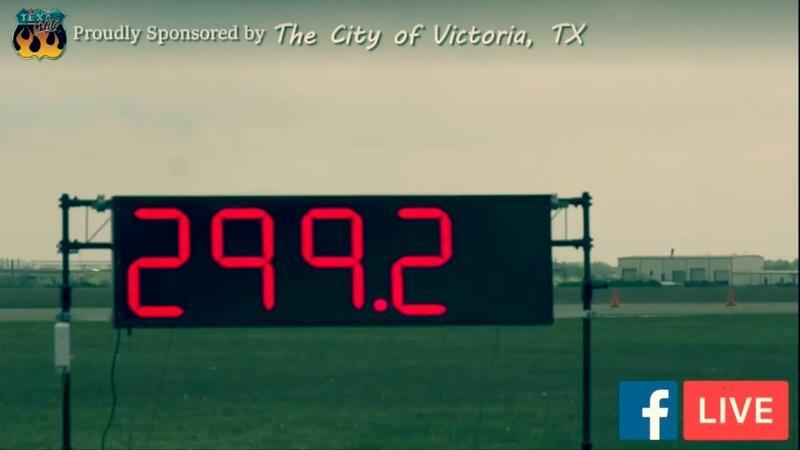 Well, that plane had a top speed of 287 mph. This M2K Motorsport Ford is faster than it. Let that sink in. 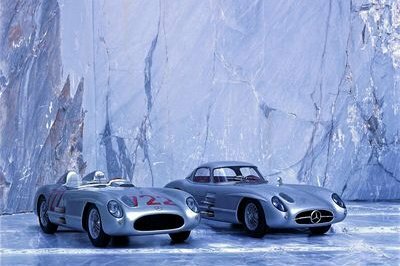 As I am still in the thirties, I have to say that at that time Mercedes-Benz set an incredible top speed ground record with the W125 Rekordwagen. 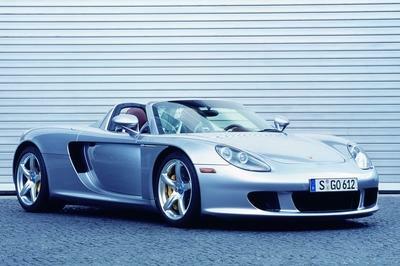 It achieved 268 mph with Rudolph Caracciola behind the wheel. I firmly believe that the M2K Motorsport’s Ford GT deserves a place on a list with these greats. 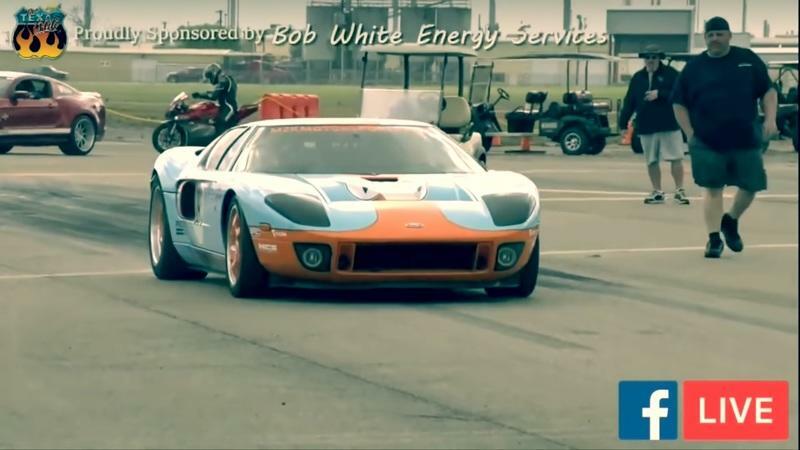 Developed with the help of Accufab Racing (engine), Ahlman Engineering (aero and suspension), NCS Designs (wiring,) and MoTeC (ignition and ECU), the M2K Motorsport’s Ford GT is the fastest and the quickest street legal car at the Texas Mile. More than that, I feel that its 300.4 mph run is a pivotal moment in the car industry that will be enriched with the first production car to hit such incredible speed. Koenigsegg already showcased the Jesko that should be able to catch the 300 mph top speed. We are yet to see it do it. 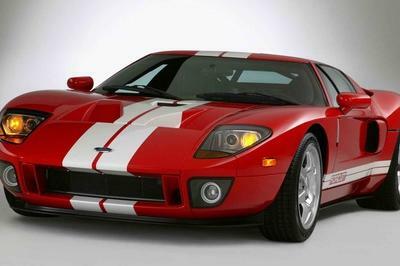 Read our full review on the 2006 Ford GT Heritage Edition.